Home :: Great War Dundee - This is the story of the 30,490 men that left Dundee to fight in the First World War and of the people left at home. In the summer of 1914 war broke out in Europe and what followed was a world war on an unprecedented scale. Dundee gave an astonishing 63% of its eligible men to the armed forces leaving barely a street, house or tenement in the city unaffected. The Great War Dundee project recounts the First World War and its impact on Dundee, and invites you to contribute by sharing your own family stories. Six Lives of WW1. Based on real people and events, Six Lives is a fictional view of the war through the lives of six individuals related through, family, friendship or circumstance. The war destroyed lives and left families bereft but also necessity led to women experiencing work in men’s roles and the widening of women’s suffrage. Click on the stories above for a small sense of the many different experiences of World War One. Charlie enlists. Spurred on by Lord Kitchener calling men to war, Charlie was among the first in Dundee to enlist. He had expected his older brother John to enlist with him but much to his surprise he declared himself against the war and said he had no intention of ever signing-up. Farewell Dundee. Charlie took part in the great farewell march from Dudhope Castle to Tay Bridge Station. There the men gathered bound for Southampton where they boarded the S.S. Rossetti at Southampton for France. Spirits were high and for many it seemed like the start of a great boys’ adventure. Most thought it would all be over in a few months. Into battle. Charlie’s first taste of battle was at Neuve Chapelle. It was a total test of his nerve and training. Advancing into machine gun fire, Charlie felt the bullets splitting the air around him but miraculously was not hit. By the end of 4 days fighting there were 13,000 casualties. Wounded at Aubers Ridge. In battle at Aubers Ridge Charlie was injured by a bullet through his arm. Missing bone and arteries, the injury was relatively minor but turned life threatening when infection set in. There were no antibiotics in 1915 and so the infected flesh was cut away and carbolic lotion applied to clean the wound. The infection subsided and Charlie was ordered home to convalesce. Brothers fight. Charlie hadn’t seen his brother John since he left for the front in September 1914. Visiting him in July it was clear that John hadn’t changed his views on the war and that he was now an active member of the No Conscription Fellowship (NCF). Charlie hated the war but couldn’t forgive John for the shame he was bringing on the family. Charlie vowed never to speak to his brother again. Returning to the front. After a long convalescence, Charlie was again fit to return to the front. He was reunited with his pals in Dundee’s Own but there were some missing faces along with many new ones. Charlie had grown hardened to the inevitable losses but he still found comfort in the camaraderie of the men. Falling back into the routine of life at the front Charlie received a letter from Morag. John was to appear before the Dundee Military Tribunal and would likely go to prison for refusing military service. Charlie ignored the letter, still angry with his brother and angry with Morag for admiring John’s courage. The Battle of Loos. Charlie returned to the ranks of the 4th Black Watch in time to take part in the Battle of Loos. The fighting was the bloodiest he had witnessed. As soon as Charlie had mounted the parapet he knew his unit was in trouble. Many fell barely yards from their line, brought down by relentless machine gun fire. By the end of the battle there were over 60,000 British casualties. Charlie’s unit, Dundee’s Own, was decimated with 19 officers and 230 men killed or wounded. Charlie pictured his parents and Morag dreading bad news like so many others in Dundee would receive. La Basse. Following the Battle of Loos the 4th Black Watch (Dundee’s Own), was amalgamated with the 5th Angus Battalion of the Black Watch. Promoted to Sergeant, Charlie led a group of men on a night trench raid at La Basse. Requiring stealth and bravery, trench raids often involved vicious hand-to-hand combat. Charlie’s men had a good night, killing 5 Germans without any losses of their own. Back to Blighty. Charlie was sent back to Britain to train men in bombing techniques. His trainees were often the same age as him and yet his experiences of the last year had left Charlie feeling so much older than them. Bombers had a reputation as the toughest men in a battalion and so Charlie was determined to turn his recruits into soldiers that were not only tough but were absolutely ready for war. Charlie thinks of his brother. Charlie heard from his fiancé that his brother John was to appear again in front of the Dundee Military Tribunal for refusing to sign up. As much as Charlie missed his brother he still could not find it in himself to understand his brother’s views no matter how highly Morag spoke of him. Charlie resolved again to put John out of his mind. On leave Dundee. Early in October Charlie received a letter from his Mother telling him that his father had signed up. She explained he was doing it to take Johns place at the front although she suspected he would have eventually signed up no matter what. Charlie had seen families destroyed by the war; the thought that his mother might lose a son and her husband weighed heavily on him. He feared the worst for his father and needed to see him in person, to hold his hand possibly for the last time. Charlie was overdue leave and made arrangements to travel immediately. He would surprise Morag at the same time. Bravery off the battlefield. 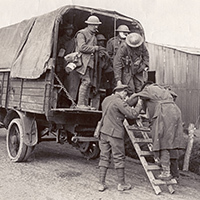 Charlie returned to France but while delivering supplies to a clearing station he gave blood to a wounded man in a person-to-person transfusion. It was a dangerous procedure, which saved the man’s life but left Charlie weak. He returned home for three weeks’ special recovery. While recovering a letter arrived from his mother to tell him his father had been injured in battle, losing part of his leg. Charlie was shocked but had seen enough terrible injuries to be thankful it was not worse. Hopefully he would be able to go back to teaching. Most invalided soldiers would be less fortunate. A deadlier enemy arrives. 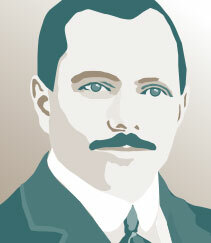 Back home, Charlie was among the first to contract Spanish Flu. He was up against a deadly enemy but true to form he dodged one last bullet and recovered. Capable of killing in 24 hours, Spanish Flu was the sting in the tail of WW1. Carried home by soldiers, a pandemic ensued killing 50-100 million people worldwide, far more than the 17 million deaths of WW1. Hope in Charlie’s heart. While recovering Charlie wondered if the flu would take his conscientious objector brother. A nurse caring for Charlie told him during his fever he had mumbled peoples names and said something that sounded like, ‘brave John’. He later learned that few men in prison caught the flu due to them having little contact with the outside. He shook his head at the thought of referring to John as ‘brave’ but he couldn’t deny feeling some relief that John was probably safe in prison. Armistice. Charlie was thankful that he, his father and Morag’s dad Peter had survived the war with the news that it finally came to an end in France and Belgium at 11.00 am on the eleventh day of the eleventh month 1918. Elements of the German High Sea fleet surrender off Rosyth on 21 November. In December Allied troops enter Germany in the same month that David Lloyd George wins the general election to become prime Minister of the National Government. New Beginnings. With Morag’s father safely home from the front, Morag and Charlie finally got married. To Charlie, Morag was the most amazing women in the world. In September 1914 she had promised him they would have their life together. He often thought she had promised too much. He watched and marvelled that day as his father and others locked in a lively but peaceful political discussion with John, while others gossiped and danced, just happy to be having fun. Charlie caught the eye of Morag, looked skyward, raised a glass in memory of his fallen pals and whispered to her – “new beginnings”. Battle of Coronel. On 1st November 1914 Von Spee’s squadron, SMS Scharnhorst and SMS Gneisenau along with 3 cruisers had encountered and destroyed a British squadron of ships killing some 1,600 men including Rear Admiral Cradock. HMS Inflexible, Martin’s ship, and Invincible were sent to hunt down Von Spee’s squadron. Battle of the Falklands. The enemy ships were sighted off the Falklands and the powerful battlecruisers quickly closed the gap on the German ships to 14 km. At 13:20 Martin felt the ship vibrate to the report of the 12-inch guns as they fired on the SMS Gneisenau. By 16:20 the battle was over and Spee’s entire squadron lay at the bottom of the sea. 2,200 German sailors were killed in the encounter. Repairs at Gibraltar. Following repairs at Gibraltar, Inflexible returned to the Mediterranean as flagship of the Royal Navy’ Mediterranean Fleet where she was involved in the bombardment of the Dardanelles forts on 19 February. Inflexible beached. On 18 March, Inflexible was in the first line of ships sent into The Narrows to clear the way into the Sea of Marmora, and hence to Constantinople. Hit by Ottoman artillery, Inflexible suffered several casualties and was eventually beached after running into a mine. HMS Warspite. 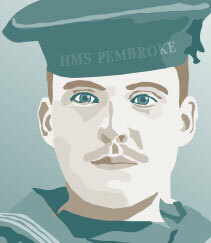 In April 1915 Martin transferred to the battleship HMS Warspite. Armed with 8 x 15 inch guns and capable of 24 knots, the 33,000 ton ship was among the most powerful in the world. Martin was proud to be on board HMS Warspite and expected she would be called to sea within days but to his amazement the ship would spend much timed anchored at her base at Scapa Flow, Orkney. Word from Charlie McTaggart. By August 1915 Martin was bored and frustrated as he and the rest of the Warspite crew lay in isolation at Scapa. So it was a welcome distraction to receive a letter from his friend Charlie. Charlie’s news of being wounded and nearly loosing his arm brought it home to Martin how the war was stripping people of family and friends. Bad luck and accidents. Having just returned to service after running aground in the River Forth, Warspite suffered further damage when she collided with her sister ship HMS Barham. A superior officer overheard Martin blaming the Captain and he narrowly escaped a charge. After repairs the Warspite rejoined the Grand Fleet on Christmas Eve. Bombardment of Lowestoft. Following the bombardment of Lowestoft the 5th Battle Squadron was sent to Rosyth to support the Battlecruiser Fleet, which included Martin’s old ship the Inflexible as part of Rear Admiral Hood’s 3rd Battlecruiser Squadron. Intelligence intercepted. In late May, the Admiralty intercepted and deciphered messages which suggested that the whole of the German High Seas Fleet was going to be at sea to support another raid. The Grand Fleet was ordered to sea. Martin’s ship the Warspite was ready. The Battle of Jutland – into battle. Martin was heading into what would become the biggest naval encounter between Britain and Germany of the war. The Battle of Jutland began around 14:30 on the 31st May but because of a signalling error the Warspite was trailing behind and Martin could only watch as first the Indefatigable and then the Queen Mary blew up. As they headed into the battle they scored a direct hit on the SMS Von der Tann, the German battlecruiser responsible for destroying the Indefatigable. The Battle of Jutland – a sitting duck. When the rest of the High Seas Fleet was sighted, the Squadron steamed past the retiring battlecruisers to engage the enemy. Warspite was hit by a shell, jamming her steering. She was a sitting duck as she turned two complete circles. Martin thought his ship was finished but despite being hit 13 times she stayed afloat allowing time for the ship’s engineers to free the steering but in doing so placed them on course for the German Fleet. The Battle of Jutland – escape. As the ship steamed back towards the German Fleet reports of damage to the ship revealed she was in a bad shape. Only one gun turret was operational but damaged rangefinder equipment meant 12 salvos fell short of their target. The captain ordered the ship to be completely stopped for 10 minutes while further repairs were made to the steering. The decision paid off and as the light faded she turned away back towards Rosyth. Convoy duty. In April 1917, 874,140 tons of shipping travelling to and from Britain was lost to U-boats. Martin, now a lieutenant on a destroyer, he spent 9 months in the Eastern Atlantic assigned to the convoy system escorting merchant ships. In June 1917 he wrote an upbeat note to his friend Charlie McTaggart, “Protecting ships carrying food to our families is the most satisfying work of my career”. Old friends meet again. While on leave in December 1918, Martin returned home to see his old friend Charlie McTaggart. Promoted to Lieutenant Commander, Martin was looking forward to a long peacetime career at sea but Charlie had no similar ambition to remain in the forces. Despite their different lives the two men remained close friends until Martin died when his ship HMS Royal Oak was torpedoed and sank by a German U-boat while anchored in Scapa Flow on 14 October 1939. Sons at odds with each other. At the outbreak of the war Charlie was among the first to sign up but John was opposed to the war and refused to enlist alongside his brother. Elizabeth expected John would change his mind out of guilt but was surprised by her relief that at least for now John would be safe. Caught in the middle. Nearly a month had passed since Charlie left for the front and since then Elizabeth had felt increasingly lonely and isolated. James her husband talked of enlisting and had also fallen out with John who had declared himself against the war. As a mother and a wife, she was caught in the middle. Charlie wounded. Just a few months after Charlie’s reassuring letter, Elizabeth receives news that he was injured in battle at Aubers Ridge and that he is seriously ill with an infection. She knew an infection could kill him as easily as a bullet. Since the day Charlie left she had lived in fear of the dreaded official War Office Telegram to notify her that Charlie was either dead or missing presumed dead. While he was fighting for his life there was hope. James is appalled by his son. Elizabeth hears that Charlie survived the infection and will be moved to England to convalesce. She arranges a family evening to celebrate only for it to be wrecked by James and John arguing. John swears he can convince Charlie to desert. James had learnt that day of eight of his old pupils dying in battle and in a blind rage told John he was an outright a coward. A gift through the post. Elizabeth was hoping for a letter from Charlie in the morning post. Her hope was quickly displaced by fury when out of an envelope fell two white feathers. Inside a note read: ‘TWO COWARDS IN THE FAMILY – YOU MUST BE A PROUD MOTHER AND WIFE’. She burned the letter and feathers but wondered how many people felt the same about her family. James signs-up. As expected, John is arrested for refusing to sign-up for military service and despite his protestations is charged and sentenced to six months hard labour. The story is published in the morning paper and James feels nothing but shame. Elizabeth tries to defend her son and to change his mind but James dismisses her pleas and proclaims he’ll take John’s place at the front. He leaves the house and returns 3 hours later as a recruit and with a date to start training. Charlie home on leave. The day James signed-up, Elizabeth wrote to Charlie. Less than a week later Charlie was at the door. Charlie looked well. He was currently based in England training men in the use of explosives. She was overjoyed to see him. James was working his last few days at the school and so during the day she and Charlie worked to prepare a meal out of what they could. Charlie had friends in the country. He took off on a neighbour’s rusting bike and by the early afternoon he was back with enough rabbit for a banquet. That evening James came home to the smell of stew and sound of laughter in the kitchen. Seeing Charlie was a real tonic and the two of them talked and drank into the early hours. James leaves for France. Elizabeth came to terms with James joining the war. Since signing up, their relationship had somehow improved. James seemed relieved. He was once again proud; a quality about him that had somewhat disappeared since men began leaving for the front. She truly appreciated the pressure men were under to fight. They spent Christmas 1916 together and on January 7, 1917 she waved him goodbye from Tay Bridge Station. Time to get busy. 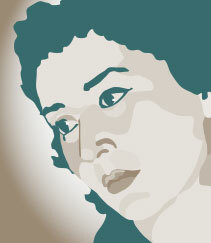 Before marrying, Elizabeth worked in a bank as a clerk. She enjoyed her work and had considered applying to work at a bank in London. As was common at the time, when women married they were often barred from employment in certain rolls. Elizabeth had enjoyed her independence but James didn’t want her to work and so dutifully she followed his wishes. But with men away at war and money short because of rising prices Elizabeth had no option but to seek work. Secretly she felt quite liberated at the opportunity. No to munitions. There was plenty of work in the local munitions factory but Charlie’s fiancé, Morag, had worked there and told Elizabeth about the women suffering with TNT poisoning. And in January 1917, 73 people were killed in an explosion at a London munitions factory. She could join Morag in the Women’s Land Army but instead decided on a far bigger idea – she would apply to join the Women’s Army Auxiliary Corps. Stationed in France. Elizabeth wrote to James with news that she had joined the WAACs. As she expected he was angry but the war had given opportunity to women and empowered them to step in to male roles. She was lonely in Dundee and tired of hearing news of fallen men. Her experience working in the bank gained her a job as a clerk in a motor transport depot in Abbeville. 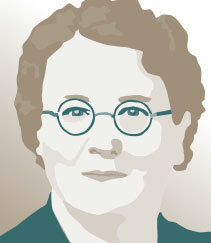 Along with other women she helped coordinate the movement of thousands of vehicles along the front. Nine dead. The depot at Abbeville was out of the reach of enemy guns but it was vulnerable to attack by air. On 30 May 1918 nine women died in an air raid. They were the first WAAC deaths on active service. Elizabeth escaped injury but one of her best friends was seriously injured. The whole camp was destroyed during the raid and Elizabeth helped pull survivors from the collapsed remains. James injured. Following the attack on Abbeville Elizabeth was acutely aware of the reality of the war. She had seen dead bodies and people with life changing injuries. As much as the intensity of work at Abbeville had kept her occupied, since the attack she thought only of her husband James and her son Charlie. In June 1918, an officer brought her the news that James had been caught in machine gun fire. He had survived but had lost the lower half of his right leg and would soon be on a ship back to England. Homeward bound. James would soon leave the military convalescence home and at the same time be discharged from the army. Without anyone to look after him Elizabeth was given leave to return home to be with him. The last letter she received in France was from Morag, Charlie’s fiancé telling her that Charlie was seriously ill with flu. As far as she knew Charlie could already be dead such was the deadliness of the virus. Her journey back to Dundee would take her 3 days. War over. With the war over a new normality was taking shape in the McTaggart household. Charlie had survived the flu and James continued to adjust to his injury. The shared relief and understanding of each having survived the war gave them reason to put the war behind them. They had done everything and more than their country could ever have expected of them. Forgiveness. Elizabeth had experienced the war first hand. She was angry at the men that had pressed them in to the conflict but believed Britain had no choice but to finish the job it had started. Her son John had spent 2 years 7 months in prison as a conscientious objector but would soon arrive home at Tay Bridge Train Station. At her side was John’s wife Rebekah and resting on his crutches was James. Despite the odds Elizabeth’s small family had survived the war and as John walked along the platform James held out his hand to welcome John home. Off to France – Villeneuve St. Georges. After a brief visit to her home in Fairmuir, Dundee, Susan was on her way to France and was posted not far from Paris at No. 3 Casualty Clearing Station operating at the railway junction of Villeneuve St. Georges. Casualty Clearing stations role was to provide primary treatment for the wounded and to prepare them for onward travel to base hospitals. Gare Maritime – Boulogne. By March 1915 Susan was at a Stationary Hospital which had been created by converting sugar sheds on the Gare Maritime at Boulogne and where she dealt with the casualties from Neuve Chapelle and Aubers Ridge. A familiar accent. Following the battle of Aubers Ridge injured men arrived at the hospital. Some could be stabilised but others were too weak to travel further. One day Susan came across a soldier with a Dundee accent. He’s was telling the men around him how he would be back at the front in no time but Susan knew from experience that the infection taking hold in the soldier’s wounded arm was potentially fatal. Susan cares for Charlie McTaggart. Susan saw many men die from small wounds. She rarely saw a man with a bullet wound to the torso as those men tended to die on the battle field. Charlie McTaggart was the man with the Dundee accent. Susan took it upon herself to care for him. He quickly became seriously ill with the infected wound caused by a bullet carrying threads of his filthy tunic into his flesh. No antibiotics. The infection in Charlie’s arm required urgent treatment. In a matter of hours, the only choice would have been amputation. The first option was to cut away the infected flesh and to apply carbolic lotion to the wound. Never had Susan imagined she would be witness to so many seriously injured and dying men. The treatment. Charlie slipped into un-conscientiousness before the procedure to clean his wound and pack it with a dressing of carbolic lotion. He woke a day later still sick. While he slept Susan helped treat another 50 or so men. As he improved she would make time to stop by his bed to talk about Dundee. The familiarity of their conversation was a comforting distraction. Within a week, Charlie was on his way to the UK. Transferred nearer to the front line. The need for experienced nurses nearer the front line was urgent and soon Susan found herself at Casualty Clearing Stations at Popinghe and then Baileull. She had become hardened to the war, none-the-less she knew the closer to the front she got, the more urgent and traumatic the work would be. The fear of enemy attack. Although clear of the front line Susan could hear artillery fire and German Taube aircraft occasionally bombed nearby rail junctions and supply depots. But compared to the daily losses at the front nurses were relatively safe. Around 1500 nurses from several countries died during the war. Many died from disease although some did die from enemy action. A face in the crowd. As she arrived at Tay Bridge Station she saw a large group of fresh looking, presumably new soldiers waiting to travel south. ‘How many men were left in Dundee’, she thought to herself’. Among the men she saw a mature man who reminded her of Charlie McTaggart. The Ambulance Train. For the first part of 1917 Susan was posted to work on an Ambulance Train ferrying injured and sick men to base hospitals and the port. The train could carry as many as 500 patients, many of whom were either helpless or in a critical condition. Most of the men came aboard the train still in their uniforms. Much of the journey would involve continuing to treat the men including getting them out of their filthy uniforms. Perilous conditions. Susan was drafted back to work in a Clearing Station. This time it felt as though the front was just yards away. Indeed during the German offensive of 1918 Clearing Stations and Base Hospitals often had to pack up and move back at very short notice under harassing artillery fire. A direct hit. While working a long shift treating men arriving directly from battle, shells began to land closer and closer to the Clearing Station. Then it happened. A shell struck just yards from the treatment shed blowing a wide hole in a wall and sending shrapnel and debris in all directions. The air was thick with dust, the smell of explosives and burnt flesh. Gallantry. 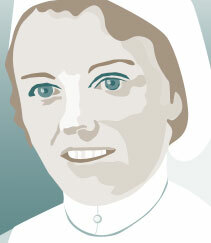 As the dust settled, Susan’s ears were ringing, masking the screams of men and nurses. The Matron and a Sister were on the floor motionless. Another shell exploded less than a 100 feet away and the ground felt as though it lifted. Shrapnel ripped at the building and a piece grazed Susan’s leg. She crawled to the Matron and Sister and saw that the Matron was bleeding but still breathing. Help arrives. Two more shells found their mark nearby but Susan stayed with the Matron and Sister. Susan saw that the sister was motionless; a scarlet patch now seeped through her uniform, she was dead. The Matron regained conscientiousness but was unable to move. For the next hour while the attack continued Susan did her best to treat the Matron while also doing what she could for others around her. Military Medal for Bravery. Susan was awarded the Military Medal for her bravery; specifically for ‘bravery and devotion to duty during a hostile bombing raid’ when she ‘worked devotedly for many hours, under conditions of great danger’. War on the horizon. John was politically minded and as well as being a trade unionist was a member of the Independent Labour Party (ILP). By 1912 John could see the shadow of war loom large over Europe and John along with fellow ILP delegates pledged to make every effort to prevent war breaking out across the continent. But when Archduke Franz Ferdinand was assassinated on 28th June 1914, John was certain war would follow within weeks. Peace Demonstration. On August 9 1914, just days after war broke out John attended a Peace Demonstration at Glasgow Green. Those present depressingly realised ‘they could not stop the war’. They hoped at least to counter the jingoism and war fever sweeping over Europe and to encourage the Government to use every endeavour to restore peace. No-Conscription Fellowship. While John’s brother Charlie underwent basic army training, in contrast John worked with a host of Dundee war resisters in the ILP and the British Socialist Party. This was national movement but Labour leader J. Bruce Glasier asserted that ‘Anti-War feeling in Scotland was much more energetic and aggressive than in English Branches’ of the ILP by January 1915. Conscription introduced. The Military Service Act introduced conscription on January 27 and on March 2nd all men of military age would be deemed enlisted. In Dundee city war resisters formed the Dundee Joint Committee Against Conscription and included Ewan Geddes Carr, Scottish Prohibitionist leader Edwin Scrymgeour, and Prohibitionist, Socialist and International protagonist, Bob Stewart. John in front of Military Tribunal. John and his brother Charlie had spoken to each other only once since war broke out. In the meantime Charlie had come through action at Loos in September 1915 and La Bassee in June 1916. Charlie was sent back home after the battle of Beaumont-Hammel and the Schwaben redoubt in September that year just as John was making his first appearance before the local Military Tribunal and Tribunal chairman Alexander Spence. 6 months hard labour. John claimed exemption from military service because he was politically opposed to the war. His application was rejected as was his appeal and in October 1916 he was finally arrested, charged and sentenced to six months hard labour for refusing military service. Objectors together. John served his sentence in a variety of places including holding cells at Dudhope Castle Military Barracks, Bell Street Police Station Dundee and Hamilton Prison before arriving at Ballachulish Road Camp in Argyll. He was in the company of a dozen Dundee and 200 other conscientious objectors including leading activist James Maxton, Ewan Carr and James Sangster. Released and re-arrested. John was released on January 22, 1917 but was immediately taken back into police custody and stood before the court once more. Again, he refused military service and this time was given a one-year prison sentence and was returned to Ballachulish camp to begin his second term in incarceration. Wakefield Prison Work Camp. Ballachulish road camp in officially closed in June 1917 to be converted into a German prisoner of war camp. John had by that time been transferred with many of his fellow camp inmates – and most of his fellow Dundee COs and ILP/NCF comrades – to Wakefield Work Centre to complete his sentence. A book of names. While at Wakefield John began an autograph book. Therein, he kept messages and entries from COs from across Britain who would write a political note or make a philosophical or ideological statement in defence of their anti-war views. In most cases the COs also listed the detention centres where they found themselves incarcerated. Life for John’s wife and family. Rebekah agreed with her husband’s views but like other wives of Conscientious Objectors, life was difficult. They had the support of the Dundee Joint Committee Against Conscription which held regular meetings voicing their opposition to war, highlighting conscription issues and abuses, while maintaining public awareness of the plight of COs across the country. They provided much needed financial support for all the dependents of Dundee COs.
A further 2 years. John remained in Wakefield until his next release date in January 1918. Upon his release, he was once again rearrested and on this his third court martial was sentenced to a further two years in prison for refusing military service. He returned to Wakefield Prison and served some of his time at Wormwood Scrubs. Moved to Wormwood Scrubs. John’s brother Charlie returned from the front in September 1918 and remained in Dundee after contracting and recovering from Spanish Flu. Charlie’s war was over. But John’s war resistance continued and incarcerated in Wormwood Scrubs he would was to serve out the remainder of his two-year sentence. After the Armistice in November he successfully applied to return to Scotland to serve out his time. Released from prison. John was finally released from prison along with fellow Dundee absolutist Bob Stewart in April 1919 after serving two years and seven months. His health had suffered considerably as a result but like his brother Charlie he had survived his ordeal as too had 90 other Dundee COs and their families. Forgiven. John felt proud of his achievements and had even managed to make things good with his brother. Considering him a coward John’s father signed after the third military service was passed in April 1918 (setting the upper age limit at 51). He claimed he was taking John’s place at the front. He lost part of his leg at the Battle of Selle in October. In May 1919 the family were reunited and his father forgave him recognising his son’s commitment. Dundee had many conscientious objectors and similar tales of reconciliation were now more common across the city. General Election success. John was part of an influential radical left wing movement to emerge in Dundee in the 1920s, which was ultimately responsible for the election of two anti-war pacifists, E.D. Morel and Edwin Scrymgeour, in the 1922 General Election. On that day the McTaggart family also celebrated their part in Morel and Scrymgeour’s General Election victory in Dundee. Churchill left the city defeated and old wounds began to heal. You’re no brother of mine! Morag faces reality. The day Lord Kitchener called men to war Morag knew Charlie would sign up. For Morag though it was not just the fear of losing her fiancé, it was also her own dream to study for a degree that was in doubt. Few women studied for degrees at the time and what with her brothers also going to war, she would be expected to work. A short goodbye. On a warm September morning Morag said goodbye to Charlie. She should have followed him down to Tay Bridge Station along with many others lining the route of the farewell march. She wanted her farewell to be just between them, not shared with thousands. She told Charlie he would be back and that they would have their life. Charlie writes. “… if the good that comes from me being here is to save you from seeing what I have seen then I am proud to be here. Charlie” Morag wondered what kind of a man would come home. She felt for all the men and their families and with guilt wished Charlie had the same views as his brother John who refused to fight. Charlie injured. Morag receives word that Charlie has been injured but is recovering and has been transferred to a military convalescence hospital in the south of England. Morag’s happy he’s safe but she cannot afford the train fair to see him. Munitions work. Against Morag’s internal wishes she took up employment at the Dundee National Shell Factory. Such factories were opening all over the UK in response to the ‘Shell Crisis’ declared earlier in the year. Her family needed the money and as much as she was now against the war she hadn’t the courage to voice her opinion. Brothers fall at Loos. Morag’s brothers Stuart and Angus had volunteered around the same time as Charlie. With them all away she learnt to expect bad news. In late September 1915, her family heard Stuart was missing presumed dead. Just 18 years old, Stuart was Morag’s baby brother. A day later Angus too was reported missing. Both had fallen at Loos; their bodies were never recovered. Dundee Rent Strikes. While men were away fighting and those left at home struggled to make a living, the many private landlords of Scotland imposed rent rises. By now Morag’s anger was boiling over and the injustice of the rent increases spurred her into action. With the encouragement of Charlie’s brother John, Morag put herself at the heart of the Rent Strikes. The Bellefield Avenue barricade. Morag helped Dundee tenants organised protests to highlight the insensitivity of the rent rises. Such was her feeling that she helped residents of a tenement in Bellefield Avenue to erect barricades to block landlords. Dundee’s rent strike was the second largest in Scotland. The strike ended when Parliament passed the Rent Restriction Act in November. Tired of munitions. The munitions factory was busier than ever but Morag couldn’t square in her mind what she was doing. Often, she thought, “maybe this shell will save Charlie but what of the men that would lose their lives as if by my own hand?” Morag wanted to be useful but not by aiding death. A surprise at the factory gates. Another long shift over, Morag wrapped up warm and walked purposely with her head down into the cold October evening. “Hey there, who are you hiding from, came a voice from the shadows.” Morag knew the voice but it didn’t belong here. She stopped in her tracks and felt her heart skip a beat or two. Charlie stepped from the shadows with a smile as wide as the peak on his cap. “Charlie, what are you doing here?” She hugged him tight to the amusement and whistles from her workmates. Charlie explained his father had signed-up and so he was on leave to see him but wanted to surprise his fiancé. Morag joins the Land Army. The war bought employment opportunities for women and while munitions employed the most women other jobs such as office clerks, public transport workers and even work in shipyards was available. Women were poorly paid compared to men but the experience of work was opening women’s eyes. In October 1917 Morag decided feeding people was better than making weapons and so joined the Women’s Land Army. Morag longs for warmer weather. Now fully trained to work on the land Morag spends nearly 50 hours a week working on a farm. The work is physically exhausting and she longs for warmer weather. At least now she feels good about her work. Being cold is nothing compared to being cold in a trench while enemy bullets and shells fly overhead; or in a prison cell where John was serving his third sentence for refusing military service. Spring arrives. The sense of new life arrives on the farm with birdsong in the air, the birth of lambs and wild flowers bursting through hedgerows. Morag marvels at the power of nature compared to mankind’s foolish sense of superiority on the planet and thinks to herself, “We can bomb ourselves into oblivion but the seasons will carry on regardless”. Morag’s father called to war. The Third Military Service Act of April 1918 extended the age of conscription to 51, which meant Morag’s father, Peter, aged 47 would go to war. Morag, barely over the loss of her brothers, couldn’t believe her father’s enthusiasm to be at the front. If it wasn’t for his wife he would have volunteered already. Now the government had given him what he wanted – a shot at revenge. Two’s company. With her father away Morag decided to leave her job on the farm to move back in with her mother. The thought of her mother alone in the house was too much for Morag to bear. She was determined not to go back to the munitions factory but by luck found work as a typist at the University College, Dundee. This would prove very fortuitous. Ambition awakes. There’s a sense that the allies are gaining the upper hand and possibly that the war will soon be over. Being amongst academics Morag here’s new interpretations of the war and appreciates for the first time the complexity of the world. She decides when the war is over that she will fulfil her dream to study for a degree especially as she now knew her subject would be History. God, don’t let him die!. Over the last 4 years Morag had lost what little religion she started with but when news arrived that Charlie had contracted flu she realised how much she wanted there to be a god so that he might spare Charlie. She wanted their life together. She had lost brothers and friends to the war. It seemed there wasn’t a street in Dundee that hadn’t lost a son or a father. Charlie survived the flu but it would be some months before he was fully recovered. The war ends. On the 11th November 1918 the war ends. Morag had spent the war as most other women, on the home front trying her best to make ends meet. Selfishly she felt as though life was on hold. Her way to survive while the only news was of death and loss was to hold on to her dreams. Morag and Charlie marry. Morag wanted to get married in December 1918 but Charlie was to weak from the flu and her father had not returned from France. With so many men awaiting transport home Peter had to wait on his turn. The sun shone that Spring day in 1919 as Morag and Charlie tied the knot. The war had stolen the smile from the face of the boy she met on the tram when she was 15 but she was thankful for what she still had. Charlie caught her eye as he raised a glass to the heavens. She smiled and knew what he was thinking, as she too took a long moment to remember her brothers, lost at Loos. God, don’t let him die! 28 Jun 1914 Archduke Franz Ferdinand, heir to the throne of the Austro-Hungarian Empire, and his wife are assassinated in Sarajevo, Bosnia, setting off a chain of events across Europe that lead to war. 29 Jun 1914 Dundee Courier reports on the assassination of Archduke Franz Ferdinand. Little did the people of Dundee and the rest of Great Britain know how their world was about to change. 29 Jun 1914 Secretary of the Austro-Hungarian Legation at Belgrade sends despatch to Vienna accusing Serbian complicity in the assassination. 20 Jul 1914 Austria-Hungary sends troops to the Serbian frontier. 25 Jul 1914 Serbia orders mobilisation of troops. Russia arranges for troops to be stationed on Russo-Austrian frontier. 28 Jul 1914 A month after the assassination of Archduke Franz Ferdinand and his wife, Austria-Hungary declares war on Serbia. 1 Aug 1914 French military mobilisation ordered; Germany declares war on Russia; and Italy and Belgium announce their neutrality. 3 Aug 1914 Germany declares war on France and Great Britain orders for troops to mobilise. 4 Aug 1914 Germany invades neutral Belgium and Great Britain declares war and the United States declares its neutrality. 6 Aug 1914 Royal Navy cruiser HMS Amphion is sunk by German mines in the North Sea resulting in the death of 150 men – the first British casualties of war. 7 Aug 1914 The first contingent of the British Expeditionary Force (BEF) land in France. 11 Aug 1914 Kitchener calls for the first 100,000 men to enlist in his New Army with the publication of ‘Your King and Country Need You’ poster (that number is made good within two weeks). 13 Aug 1914 The first squadrons of the Royal Flying Corps arrive in France and claim their first ‘kill’ on August 25. 20 Aug 1914 Brussels is evacuated as Germans occupy the city. By invading neutral Belgium, Germany hoped to capture Paris quickly by catching the French off guard. 23 – 26 August 1914 The Battle of Le Cateau starts where the British Expeditionary Force suffers 7,812 casualties and is forced to retreat but they delay German advance at Le Cateau and Mons. 28 Aug 1914 The Battle of Helogoland is the first naval action of the war when the Royal Navy sinks three German battle cruisers. 5 – 12 September 1914 The First Battle of Marne checks the German advance at an estimated cost of 13,000 British, 250,000 French and 250,000 German casualties. In total over two million men fought in the battle. 10 – 13 September 1914 Battle of the Masurian Lakes where German forces win a second victory of the Russians forcing them into a retreat. 14 – 28 September 1914 The Battle of Aisne where the allies fail to break German lines and both sides reinforce their defences in what becomes known as the ‘race to the sea’ – it is also the start of trench warfare and the development of some 400 miles of continuous trench systems. 16 Oct 1914 The British Indian Expeditionary Force D, tFhe largest Indian Army force of the war to serve abroad, sails from Bombay to the Persian Gulf in preparation for the defence of Mesopotamia. 16 October – 11 November 1914 The First Battle of Ypres when German forces attempt to take the Belgian city but the allies hold out – inflicting 135,000 causalities and the British Expeditionary Force suffer significant causalities. 29 Oct 1914 Turkey enters the war as a German ally bringing some 600,000 troops into the war. 1 Nov 1914 Battle of Coronel. Outsized, out-manoeuvred and outgunned, German cruisers destroy a small British squadron off the coast of Chile. Commanded by Rear-Admiral Sir Christopher Cradock, his orders were to fight to the end, despite him knowing the odds were heavily against him. 22 – 23 November 1914 Trenches are established along the entire Western Front and the British enter Basra in the Middle East (to secure oil supplies mainly for the Royal Navy) and is formally occupied on 23 November. 23 Nov 1914 The Portuguese Government announce prospective co-operation of Portugal with Great Britain. 8 Dec 1914 Battle of the Falklands where Admiral von Spee’s squadron is destroyed and the ‘Scharnhorst’, ‘Gneisenau’, ‘Leipzig’ and ‘Nürnberg’ are sunk. Admiral von Spee is killed and only the SMS Dresden escapes. 16 Dec 1914 The German First High Sea fleet bombards Hartlepool, Whitby and Scarborough, killing 137 civilians – proving that the British mainland is susceptible to attack. 18 Dec 1914 As a result of the declaration of war with the Ottoman Empire, of which Egypt was nominally a part, Britain declared a Protectorate over Egypt. 21 Dec 1914 First German air raid on England where aeroplane drops bombs in sea near Dover – and Jasin (East Africa) occupied by British forces. 24 Dec 1914 Second air raid on England and first bomb dropped on English soil (near Dover). 25 Dec 1914 Aircraft of the Royal Naval Air Service, carried to within striking distance by seaplane tenders of the Royal Navy, bombed the Cuxhaven area causing damage to shore installations. 25 Dec 1914 ‘Christmas Truce’ observed on certain sectors of the Western Front – in some areas the unofficial truce was maintained for days. German and British soldiers crossed trenches to exchange seasonal greetings, food and souvenirs. Some meetings ended in carol-singing and elsewhere men even played games of football. 29 Dec 1914 Memorandum sent to United States Government by British Government in defence of British blockade policy. (US commercial interests wishing to profit from wartime trade with both sides were suffering because of the blockade). 30 Dec 1914 Russian Commander-in-Chief (Grand Duke Nicholas) suggests a British expedition against the Turks to ease Russian situation in the Caucasus. 19 Jan 1915 In the first airborne attack on British soil, Zeppelins bomb Great Yarmouth and King’s Lynn, killing five civilians. 18 Feb 1915 Blockade of Britain by German U-boats begins. All vessels are considered viable targets, including those from neutral countries. 19 Feb 1915 Start of the Royal Navy long-range bombardment of Ottoman artillery around Dardanelles and Gallipoli begins. 10 Mar 1915 The British Offensive at Neuve Chapelle begins. Allied losses amount to 12,800 in two days. Poor quality and shortage of British shells partly to blame, initiating the ‘Shell Crisis’. 22 – 22 April 1915 Second Battle of Ypres begins. Germany ‘successfully’ uses poison gas for the first time. Delivered accurately, a poison gas attack was capable of killing thousands on men in a matter of minutes as well as causing horrific injuries and panic. 25 Apr 1915 Allied landing at Gallipoli begins and fighting continues to January 1916 and would lead to casualties in the region of 500,000 on all sides. Picture: Australian Engineers heading to Gallipoli. 7 May 1915 A German U-boat torpedoes the British liner Lusitania with the loss of American lives. A diplomatic crisis between the US and Germany ensues. 9 – 10 May 1915 The Battle of Aubers Ridge was a British offensive on the Western Front in support to the Second Battle of Artois, a Franco-British offensive intended to exploit the German diversion of troops to the Eastern Front. 15 – 25 May 1915 The Battle of Festubert was the continuation of the Battle of Aubers Ridge (9 May) and part of the larger French Second Battle of Artois. It was intended to assist the French offensive against Vimy Ridge near Arras, by attracting German divisions to the British front, rather than reinforcing the defenders opposite the French. 25 May 1915 The ‘Shell Crisis’ emerged in 1915 because the sustained use of artillery was not anticipated causing a shortage of shells. The shortage was widely publicised leading to Lloyd George being appointed as Minister of Munitions. This in turn led to more women going into munitions work. 15 Jul 1915 National Registration Act introduced in Britain, obliging all men of military age to register but also anyone between age 16 and 60, including women. 6 Aug 1915 Second landing at Gallipoli ending in failure when the allies are pinned to the coast by Turkish troops. 16 Aug 1915 Britain’s maritime defences are breached when a U-boat bombards Whitehaven on the north west English coast. 5 Oct 1915 British and French forces land at Salonika in support of Serbia to strengthen Bulgarian front – and as a result Bulgaria later declare war on Serbia and join Central Powers. 12 Oct 1915 Edith Cavell, a British nurse, is executed by German firing squad for espionage for aiding escaped POWs escape from Belgium to Holland. 9 Nov 1915 While en route from Salonica to Marseilles, the SS Californian was torpedoed and sunk off the coast of Greece by a German U-boat. Californian was built in Dundee by Caledon Shipbuilding & Engineering Company. Launched in 1901, she was at the time the largest ship ever built in Dundee. SS Californian is more often remembered in relation to the Titanic disaster in 1912 and the Californian’s alleged failure to conclusively investigate the signs that Titanic may have been in distress. 27 Nov 1915 The No-Conscription Fellowship hold its first national convention in London to resist legal and forcible conscription into the armed forces. Read how Dundee was also a leading centre for the anti-war movement. 15 Dec 1915 General Sir Douglas Haig replaces Sir John French as Commander in Chief of the British Expeditionary Force in France and Belgium. 20 Dec 1915 Allies evacuate 83,000 troops from Suvla Bay and ANZAC Cove in Gallipoli. Not one soldier or sailor is killed in the withdrawal. Dundee men among those evacuated. 9 Jan 1916 The Gallipoli campaign is abandoned as the last troops leave; leaving historians today divided in their summary of the campaign’s success or otherwise. Records differ but the campaign resulted in approximately half a million casualties, including men sick with typhoid, dysentery and diarrhoea. Gallipoli is commemorated on 25 April each year in New Zealand and Australia and is known as “Anzac Day”. 24 Jan 1916 First Military Service Act passed by parliament – all single men between 18 and 41 eligible for conscription into the army. 10 Feb 1916 Conscription begins as Military Service Act comes into effect in Britain. Within a few months conscription is expanded to include married men and later the upper age limit for conscription is raised to 51. 21 February – 18 December 1916 The Battle of Verdun was fought on the Western Front between German and French armies. Lasting 303 days, the battle was one of the most costly in human history with an estimated 755,000 – 976,000 casualties. Much of the 100 sq.km battlefield is now forest but the picture (right) still bears the marks of shell impacts. Troops on both sides considered Verdun “Hell”. 1 Mar 1916 Germany recommences submarine attacks against merchant and passenger vessels – continues through to April. 2 Mar 1916 Although neutral Portugal has trade interests with Britain and so complies with the British request to confiscate German ships interned in Portuguese ports. Germany reacts by declaring war on Portugal. 29 Apr 1916 Siege of Kut ends – Anglo-Indian garrison surrender to Turkish forces after 143-days. Around 13,000 Allied soldiers survived to be made prisoners. 70% of the British and 50% of the Indian troops died of disease or at the hands of their Ottoman guards during captivity. 16 May 1916 Second Military Service Act passed extending conscription to married men between the ages of 18 and 41. Conscription was not made law in Ireland because of the 1916 Easter Rising, although in fact many Irishmen volunteered to fight. 21 May 1916 Daylight Saving (British Summer Time) introduced for first time to encourage longer working in farms and factories. Germany and Austria-Hungary had already introduced daylight saving as a means of saving coal. 31 May 1916 Battle of Jutland – British Grand Fleet confront German High Seas Fleet in North Sea off coast of Denmark. British fleet sustain greater losses than German fleet but German fleet driven back to port where they remain for the rest of the war. 5 Jun 1916 British Secretary of State for War, Field Marshall Lord Kitchener, drowned when en route to Russia when HMS Hampshire strikes mine and sinks off Orkney Isles. 7 Jun 1916 Fort Vaux at Verdun captured by Germans. The defence of Fort Vaux was marked by 5 days of heroism and endurance of the French garrison where most of the fighting took place inside the Fort. The surviving soldiers remained in captivity in Germany until the Armistice of November 11, 1918. 1 July – 18 November 1916 Battle of the Somme launched in Picardy as part of major Anglo-French offensive. The British Army suffers 57,470 casualties, including 19,240 killed. The battle continues until 18 November. 7 Jul 1916 David Lloyd George appointed Secretary of State for War replacing Lord Kitchener. 11 Jul 1916 Germans suspend their attack on Verdun (three miles from city) in order to move troops to the Somme. where the Anglo-French relief offensive began on 1 July. A German attempt to capture Fort Souville in early July, was repulsed by artillery and small-arms fire. 14 Jul 1916 The Somme – Battle of Bazentin ridge. A successful dawn attack sees the capture of villages Bazentine and Longueval by British forces. However the British failed to make the most of their victory and 2 months of bloody attrition commenced. 19 Jul 1916 Battle of Fromelles – French Flanders – Inexperienced and outnumbered 2:1, Australian and British troops suffer heavy casualties. The battle was responsible for one of the greatest losses of Australian lives in 24 hours. 21 Aug 1916 The Battle of the Somme documentary released for screening in 34 cinemas with nation-wide release the following week. It showed actual footage of men fighting in the battle and is watched by over 20 million people across Britain. 27 Aug 1916 Romania enters the war on allied side with the aim to seize Transylvania from the Austro-Hungarian Empire. They are quickly defeated by Central Powers combined forces. 28 Aug 1916 Italy declares war on Germany. 3 Sep 1916 First German airship shot down to the north of London. 16 German airships set out to bomb the capital but only 2 came close to their target. At around 2:15 am pilot Lt. William Leefe Robinson (right) shot down one of the airships near Cuffley. The pieces of the airship were salvaged by the Red Cross to raise money for wounded soldiers. 15 Sep 1916 The Somme – Battle of Flers – Courcelette. Allied advance supported by tanks for the first time. It also marked the debut of the Canadian and New Zealand Divisions on the Somme battlefield. 26 Sep 1916 The Somme – village of Thiepval captured by allies. Today Thiepval is the site of a memorial to 72,194 men died in the Somme battle sector before 20th March 1918 and have no known grave. 2 Nov 1916 Verdun – Fort Vaux is recaptured without resistance by a French patrol who find the fort abandoned. In the preceding weeks the fort had been used as a command post by the Germans but life inside probably became unbearable with repeated attacks and heavy shelling by the French. 7 Nov 1916 Woodrow Wilson re-elected as President of the United States. Having kept America out of the war during his first term, Wilson’s second term was dominated by American entry into World War I. 13 – 19 November 1916 The Somme – Battle of Ancre, where the final action on the Somme results in allied forces liberating Serbian town of Monastir and brings to an end 142 days of fighting. 7 Dec 1916 Herbert Asquith replaced as British prime minister by David Lloyd George (right) who takes over as leader of the wartime coalition. Regarded as a successful peacetime leader Asquith was generally criticised for his poor leadership during the war. 12 Dec 1916 German Chancellor, Theobald Bethmann-Hollweg, sends peace note to Allies to open talks in neutral country. 21 Dec 1916 David Lloyd George rejects German peace note and the offer of talks on the grounds that Germany believes itself to be the more powerful and therefor in the stronger position to direct the conditions for peace. 19 Jan 1917 A secret telegram to German minister in Mexico from German Foreign Secretary, Arthur Zimmerman, is intercepted by British Naval Intelligence. The telegram offers support if Mexico were to attack the USA. 1 Feb 1917 British naval blockade causing food shortages, and starvation in Germany and Austria-Hungary. The average daily diet of 1,000 calories was insufficient to maintain a good standard of health, resulting by 1917 in widespread disorders caused by malnutrition such as scurvy, tuberculosis, and dysentery. 2 Feb 1917 German submarine attacks on British shipping carrying food supplies to Britain leads to food shortages. A public campaign with a clear message is launched to encourage people to eat less bread. 3 Feb 1917 USA break off diplomatic relations with Germany due to the reintroduction of the German navy’s policy of unlimited submarine warfare. Germany resume submarine campaign as a result and US President Woodrow Wilson cautioned what might happen if Germany followed through on its threat to sink American ships without warning. 25 Feb 1917 German forces facing the Somme withdraw some 25 miles to new defences known to the British as Hindenburg Line – the withdrawal continues until 5 April. 1 Mar 1917 The Zimmerman telegram is made public in America with express approval of President Wilson. The German Empire proposed financial support and a military alliance with Mexico, in the event of the United States entering the war against Germany. Germany’s intention was to keep America neutral but public opinion was turning to war. 12 Mar 1917 Start of first Revolution in Russia. Tsar Nicholas II abdicates and Provisional Government assumes power. 28 Mar 1917 WAAC (Women’s Army Auxiliary Corps) enrols 57,000 women – 9,000 WAACs to be sent to France. The WAAC was organised into four units: cookery, mechanical, clerical and miscellaneous but there were strict rules governing the use of women, such as, any job given to a member of WAAC, had to result in a man being released for frontline duties. 3 Apr 1917 Lenin arrives back in Russia. 6 Apr 1917 USA declares war on Germany. Wilson cited Germany’s violation of its pledge to suspend unrestricted submarine warfare in the North Atlantic and the Mediterranean, as well as its attempts to entice Mexico into an alliance against the United States, as his reasons for declaring war. 9 April – 4 May 1917 Battle of Arras – British advance 3.5 miles on first day and Canadians seize Vimy Ridge. Fighting continues until 4 May – both sides sustain very heavy casualties. 16 Apr 1917 Second Battle of Aisne – The operation had been planned as a decisive blow to the Germans but by 20 April it was clear that this had not been achieved and after heavy casualties fighting ends on 20 April. 29 Apr 1917 Outbreak of mutinies take place after the defeat and the heavy casualties sustained by the French at Chalons-sur-Marne – indiscipline continues until October. 40-60 captured mutineers are executed but reforms to improve the welfare of French troops are introduced to help restore morale. 10 May 1917 Convoy system (merchant ships under naval protection) introduced by British to combat German submarine threat. Previously opposed to the idea, the Admiralty agreed to it after 874,140 tons of shipping were lost to U-boats in April 1917. The convoy system quickly reduced losses in convoy to 10% of those suffered by independent ships. 18 May 1917 US Congress pass bill to recruit 500,00 men into war service. This was necessary as only 73,000 volunteers enlisted out of the initial 1 million target. 21 May 1917 Imperial War Graves Commission established in London (Now Commonwealth War Graves Commission). 25 May 1917 First daylight aeroplane raid on Britain by German bombers. Cloud over London diverted 21 bombers to secondary targets of Folkestone and the nearby Army camp at Shorncliffe. The raid resulted in 113 dead and 285 injured. 7 – 14 June 1917 Battle of Messines begins when allied troops seize the Messines Ridge south of Ypres – fighting continues until 14 June. 17 Jun 1917 Portuguese troops see action on the Western Front for first time. 28 Jun 1917 Just a few months after declaring war on Germany the first American troops arrive in France. By the end of the war the US had mobilised over 4,000,000 military personnel. 29 Jun 1917 Russian summer offensive against Germany begins. Directed by war minister Kerensky Russia suffers a series of defeats – fighting continues until 18 July. 6 Jul 1917 Conscription Bill passed by Canadian parliament. Despite many Canadians volunteering to join the forces earlier in the war, enlistment virtually stopped when people heard of the trench conditions and number of casualties. Conscription was necessary to deliver the promised 500,000 by the end of 1917. 7 Jul 1917 Daylight bombing by 22 German Gothas over London kills 57 people and leaves 193 injured. One hundred sorties were flown against the formation, resulting in one Gotha shot down and three damaged. 17 Jul 1917 British Royal Family change name from Saxe-Coburg-Gotha to Windsor. Anti-German feeling was at a high and so under pressure from all round the Royal Family chose to permanently separate themselves from Germany by dropping all German titles and dignities. 1 Aug 1917 Heavy rain across Ypres battle field for nearly one month – prevents any progress. Pope Benedict XV makes another appeal for peace but is largely ignored, only Austria-Hungary are interested. 3 Aug 1917 Mutiny in the German High Seas Fleet at Wilhelmshaven when around 400 sailors left their ships and began to protest for an end to the war. Army officials persuaded them back to their ships where 75 of them were arrested and imprisoned. The ringleaders were subsequently tried, convicted and executed. 6 Aug 1917 Previously minister of war and of the navy, Alexander Karensky becomes Prime Minister of Russia. 20 Aug 1917 French launch fresh attack at Verdun – recapturing most of the ground lost during 1916. 4 Sep 1917 Germany had switched to night raids as a measure of protection against the improved air defences over Britain. The first night raid by the Gothas took place on 3 September over Chatham killing 152 including 130 naval recruits whose dormitory received a direct hit. Encouraged by the lack of night defence, a raid on London was carried out the following night. 20 Sep 1917 Battle of the Menin Road – British and ANZAC troops at Passchendaele begin stead advance after rains of a month finally stop but the ground conditions are wet and muddy. 19 Oct 1917 Last of the German bomber raids on London takes place. 26 Oct 1917 Second Battle of Passchendaele – British and Canadian troops begin final attack on the village. 2 Nov 1917 Balfour Declaration issued by British Government in support of a Jewish homeland in Palestine. 7 Nov 1917 Second Russian Revolution. Bolsheviks led by Lenin and Trotsky seize power and overthrow provision Government. 10 Nov 1917 Third Battle of Ypres ends with the capture of Passchendaele village. 16 Nov 1917 Georges Clemenceau becomes Prime Minister and Minister for War in France. A fierce of critic of previous leaders handling of the war, Clemenceau faces a challenge to build morale and to convince his people that victory is the only choice for France. 20 Nov 1917 Battle of Cambrai – combined use of tanks, aircraft and artillery – major advance made on the Hindenburg Line. Some 476 tanks took part in the battle of which 179 were lost. The use of tanks meant that lines of barbed wire defences, previously a major hinderance to soldiers, did little to slow the tanks. 30 Nov 1917 Cambrai – Germans launch major counter-attack recapturing almost all the ground lost of the previous ten days. The German counter-attack confirmed the effectiveness of artillery, trench mortars, and evolving stormtrooper tactics. 9 Dec 1917 Jerusalem taken by British forces in Palestine – ends 673 years of rule by Turkey. 15 Dec 1917 Bolshevik Government sign armistice with Germany – suspends hostilities on the Eastern Front and on December 22, peace negotiations begin at Brest-Litovsk. 8 Jan 1918 American President, Woodrow Wilson presents his ’14 points’ plan to prepare ground for peace which although very different to the eventual Treaty of Versailles, was the basis for the terms of the German surrender at the end of the War. 6 Feb 1918 Representation of the People Act received Royal Assent – universal suffrage for all British men aged 21+ and limited suffrage for British women over 30. The changes recognised the effort and sacrifice British men and women had made for their country. 23 Feb 1918 Newly formed Soviet Red Army goes into action against the German Army for the first time. 25 Feb 1918 Rationing begins in London and the south of Britain for the first time. Sugar, meat, flour, butter, margarine and milk were all rationed. Families had to choose which butcher, baker and grocer they would use their ration cards in. Penalties were stiff for anyone found cheating the system. 3 Mar 1918 Treaty of Brest Litovsk signed between Bolshevik Government and central Powers ending Russia’s participation in World War I. 21 March – 5 April 1918 First Battle of the Somme 1918 begins when Germans launch offensive to split French and British lines. British suffer heavy causalities and begin large-scale withdrawal. Fighting continues until 5 April. 23 March – 15 August 1918 Germany shells Paris using long range railway guns. Known as the Paris Gun, it shot a 106-kilogram shell to a range of 130 kilometres and is believed to the first man-made object to reach the stratosphere. Although not very accurate, the shelling terrorised the Parisians. 1 Apr 1918 Royal Air Force (RAF) is formed. (And is today the oldest independent air force in the world). 7 Apr 1918 Meat rationing introduced across Britain. 9 – 29 April 1918 Battle of Lys. Second German offensive against British line in Flanders where they capture considerable ground. 9 Apr 1918 WAACs renamed Queen Mary’s Auxiliary Corps – recognition for their conduct during the German offensive during March. 10 Apr 1918 Third military Service Act passed extending eligibility to those aged 51 and to men living in Ireland. 17 Apr 1918 US 1st Division sent to join French Fifth Army. 19 May 1918 Largest and final aeroplane raid on London. Thirty three aircraft are involved, 49 people are killed and 177 injured. Germany planned further raids using newly developed incendiary bombs but the plans were dropped. 9 – 14 June 1918 Battle of Matz. Fourth German offensive on French lines at Verdun. The French are forewarned of this attack by German prisoners. Nonetheless, the 9 mile German advance was impressive despite fierce French and American resistance. At Compiègne, a French counter-attack halts the German advance. 27 – 6 June 1918 Third Battle of Aisne. A third German offensive against French lines. 15 Jul 1918 Fourth Battle of Champagne – fifth German attack since March – continues for three days. 16 Jul 1918 Tsar Nicholas II and his family executed by the Bolsheviks. Russia had endured terrible losses and suffering throughout the war. Nicholas was warned of the effects of this on his people and yet ignored advice to initiate fundamental change. 18 July – 7 August 1918 Second Battle of Marne – General Foch launches first counter-attack in reply to five German offensives. The allies take the initiative and make strategic gains which mark the end of a string of German victories. 5 Aug 1918 Last German airship raid on Britain. Four Zeppelins bombed targets in the Midlands and the North of England. 8 – 11 August 1918 Battle of Amiens –Australian, British, Canadian and French mount a strike on the German army on the Somme. General Ludendorf calls it ‘a black day for the German army’ but fighting continues until 11 November. 12 Sep 1918 British attack on outer defences of the Hindenburg Line and American launch a successful attack against Germans during the Battle of St Mihiel south of Verdun. 26 September – 15 October 1918 Battle of Champagne and Argonne sees French and Americans troops make major push on German lines. 27 September – 9 October 1918 Battle of the Canal du Nord – successful assault by allied troops on the Hindenburg Line. 28 September – 10 October 1918 Battle of Flanders Ridge in Belgium – strong advance from Ypres push Germans back. 29 September – 2 October 1918 Battle of the St Quentin Canal – allied troops break through the Hindenburg Line. 30 Sep 1918 Bulgaria agrees an armistice with the Allies. 1 Oct 1918 Australian, British and Arab forces capture Damascus, Beirut, Homs and Aleppo. 3 Oct 1918 Prince Max von Baden new German Chancellor – seeks an armistice based on US President Woodrow Wilson’s 14 points. 14 Oct 1918 Turkish Government seeks armistice. 16 Oct 1918 Austria-Hungary to become a Federated Nation. 17 Oct 1918 Battle of the Selle – allied offensive in France forcing back German troops. 26 Oct 1918 General Ludendorf resigns as German Quartermaster general. 27 Oct 1918 Austria-Hungary seek armistice with Italy. 30 Oct 1918 Turkey signs armistice with allies as Turkish troops surrender in Mesopotamia. 1 Nov 1918 Serbian troops recapture Belgrade. The period of war left The Kingdom of Serbia’s population depleted by some 25% either as a result of, military action, epidemics, food shortages or Spanish Flu. 57% of the male population died and an estimated 500,000 children were orphaned. 3 Nov 1918 German sailors mutiny at Kiel. 4 Nov 1918 The spirit of rebellion spreads across the country and Bolshevik demonstrations begin in German cities. 9 Nov 1918 The German Kaiser, Wilhelm II, abdicates and the country declares itself a republic. He crosses the boarder into the Netherlands. Calls for Wilhelm’s extradition after the war were resisted by the Dutch authorities and he remained in the Netherlands for the rest of his life. 11 Nov 1918 Germany signs armistice with Allies agreeing an immediate ceasefire and the withdrawal of its troops to its own borders. Fighting ends in France and Belgium at 11.00am – whilst Canadian troops in Belgium recapture Mons. 21 Nov 1918 Sections of the German High Seas Fleet officially surrender off Rosyth and 39 German submarines surrender at Harwich. Eventually 122 U-boats, along with various other German ships and support machinery stretched for two miles along the River Stour. 25 Nov 1918 Colonel Paul von Lettow-Vorbeck ends his long campaign in German East Africa and surrenders undefeated. He was the only German commander to invade British territory successfully during the First World War. 1 Dec 1918 Allied troops enter Germany. 14 Dec 1918 British Prime Minister David Lloyd George wins general elections at the head of the national government. All the answers to this quiz are on the pages of this website. If you get stuck follow the help link below the question to go to the page with the answer. Note: The help links will open in a new browser window / tab, once you have read the page and think you have found the answer close the window / tab to return to the quiz. You got 0 answers correct out of 6. You can click on the incorrect / unanswered questions to go back and try again. Q1: What percentage of Dundee men were on active duty during World War One? Q2: How long would a soldier spend in a front line trench? Q3: How many letters did the General Post Office London Depot handle bound for the troops? 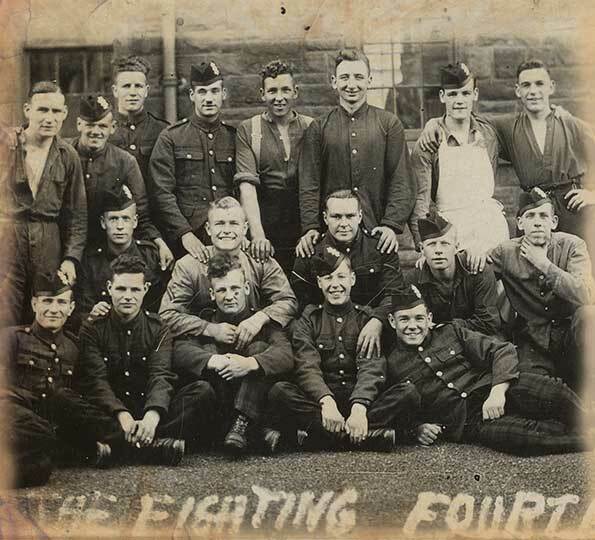 Q4: Ewan Geddes Carr was a Conscientious Objector and refused to go to war, what happened to him? Q5: 320 women in Dundee worked in a factory making what? Q6: Which particular animal provided an early warning of a mustard gas attack? By the armistice over 4,000 men had lost their lives to the war while many more came home with terrible physical and mental scars. And on the home front Dundee endured its own struggle throughout the war. 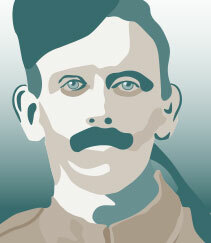 Help us honour them all by contributing to the Dundee Roll of Honour. Poppyscotland and Legion Scotland today launched a mass movement to say “Thank You” to all who served, sacrificed and changed our world during the First World War. Michael Alexander talks to Great War Dundee historian Dr Billy Kenefick about the First World War men who refused to fight - and paid a high price. Today, 15th May, is International Conscientious Objectors Day. Find out more about Conscientious Objectors in Dundee and Britain during The Great War.